IF YOU WANT TO SEE live Daleks trundling about, Imperial stormtroopers marching forth, or robot dogs on the run, then smallspace 4 is the place to be, come July 12. A GOOD READ coming soon will be MAT’S MARVELLOUS MODEL MUSEUM, an interest-packed book that takes you on a guided tour through Mat Irvine’s incredible treasure-trove of scale models. Here is a VERY detailed unboxing and full content review, featuring the powerful CR90 blockade runner space craft from Star Wars. 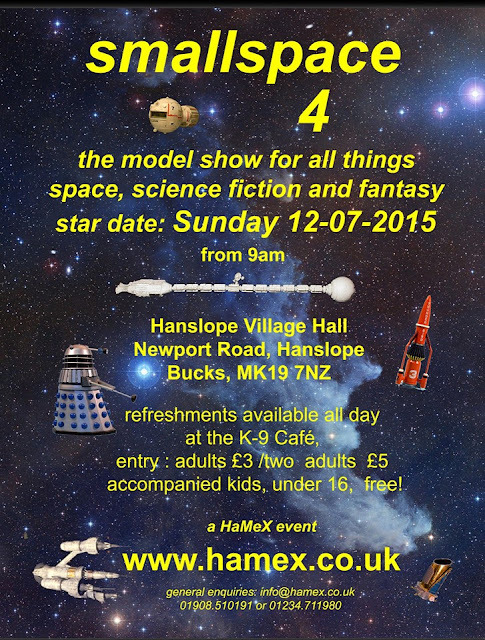 SCALE CAR FANS have their annual treat at the HaMeX miniature vehicles show, held at Hanslope, UK. 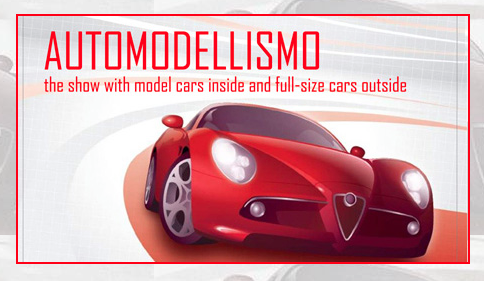 There will be the usual mix of beautifully crafted autos. THIS IS A NEAT CONVERSION from resin manufacturer Jimmy Flintstone Studios, based on the Moebius Models 1:25 scale1953 Hudson Hornet. This creates a Flower Car, a type often seen accompanying American funeral processions. NEVER SAY THAT STAR WARS fans are short of ideas when it comes to scoring movie tickets. 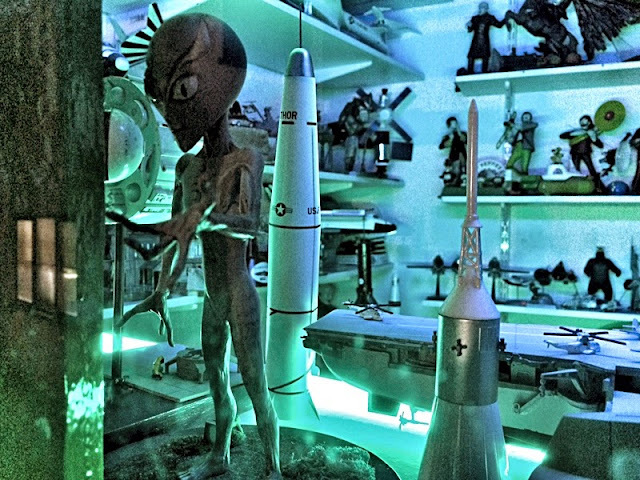 THE 2015 CHICAGO TOY FAIR (though everyone still calls it the Kane County Toy Show) was held a couple of weeks ago at the Kane County Fairgrounds, Chicago. It was blessed with fine weather this year, and five of us turned up there bright and early, at 8 o’clock sharp. WE FEATURED THE DELIGHTFUL wind-powered Strandbeest, created by Dutch artist Theo Jansen. 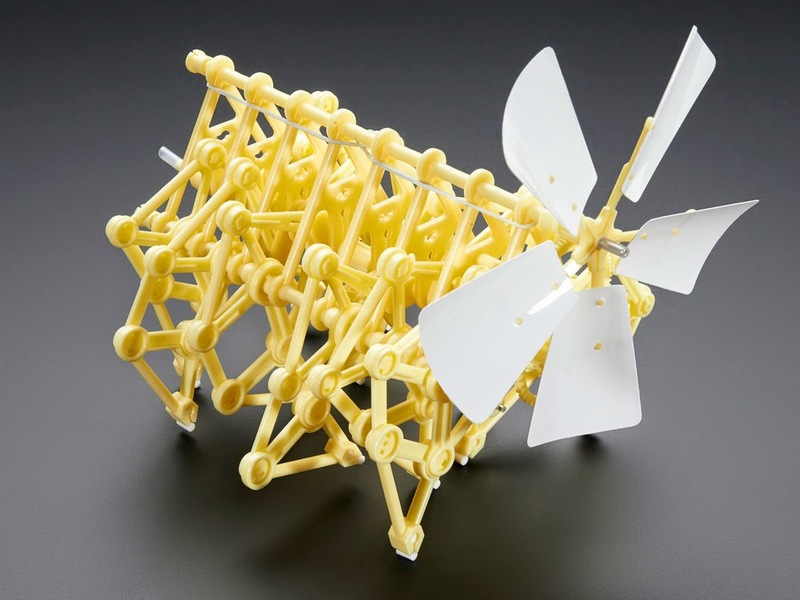 And now a Strandbeest is available as a kit from Gakken, a highly regarded Japanese publisher. THE ROBOT B9 FROM THE 1960s TV series 'Lost in Space' is one of the best-known screen robots, though its role often seemed to consist mainly of flailing its arms around, while intoning the warning, “Danger, danger, Will Robinson.” However, Robot B9 is an iconic design and one that’s welcome as a 1:6 scale kit from Moebius Models.